Be the first to hear about their new releases and deals. Download the Booksprout app and search for A. Davis today! 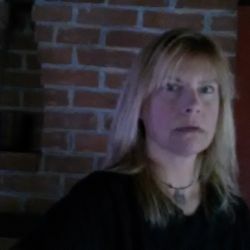 A. Davis is an independent writer in the fiction market. Her first novel, The Uprising, was published on Amazon in 2017. Her three novel series- The Krakenshire Collection- including: The Undertaker’s Revenge- A Love Story, Keys To The Coffins, and Cryptic Notes came out in early 2018. Ali is also a veterinarian and musician, and currently resides on Cape Cod with her greyhound.